Dr. Samuel Rizk “The Doctor with miraculous hands” – This is how patients refer to Dr. Rizk. He is an experienced and talented dentist, having spent over 10 years in a private practice; specializing in general, cosmetic and restorative dentistry. Dr. Rizk graduated NYU School of Dentistry with a Doctor of Dental Surgery degree. Dr. Rizk completed his residency at Lutheran Medical Center Level I trauma hospital center. Dr. Rizk’s training was heavily accented on facial trauma, implants, prosthetics, and endodontics. After graduation, he became the managing Clinical Director of A.S.P.E.N. in Rhode Island, where he had the highest record of patient satisfaction. Dr. Rizk loved what he did so much that he decided to start his own practice in Brooklyn NY in 2012 so he can have the opportunity to help more people to achieve a better quality of life. He decided to name the practice Best dental not because he is the best dentist in the world (which all his patients believe be is) but because his practice promises to give patients the best possible experience. At Best Dental Center, Dr. Rizk offers all phases of general and cosmetic dentistry, including implants, root canals, bridges, crowns, periodontics, oral surgery, whitening, and orthodontics. He offers a variety of cosmetic crowns, full-mouth reconstruction, and the new orthodontic treatment known as Six Month Smiles™. In our state of the art facility, we have the most advanced equipment, and techniques including lasers, digital x-rays, central fusion and Cone Beam CT on site. CBCT allows precise and invaluable visualization of vital anatomic structures and more predictable planning of dental implants and reconstructive procedures. 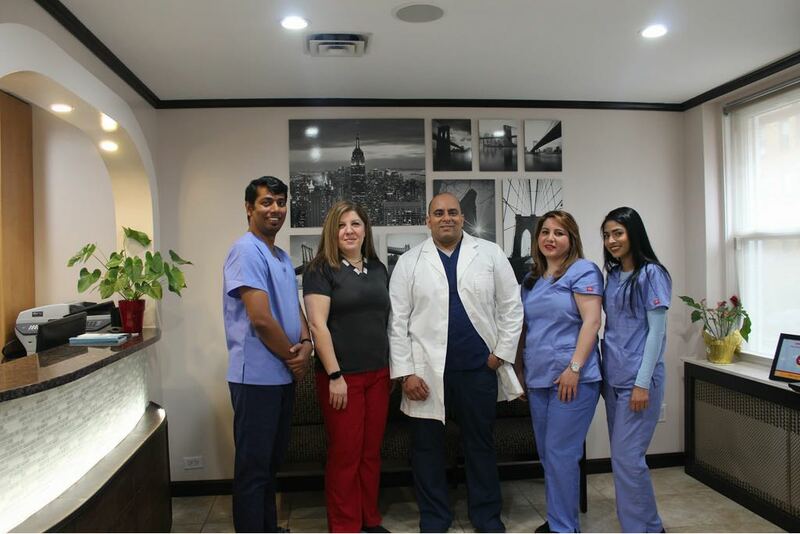 Dr. Rizk and his team look forward to providing you and your family with the highest quality of preventative, and surgical dental care that emphasizes on your physical and emotional comfort while utilizing the latest and highest advances in dentistry.